Google will be able to co-relate data from the first click to the final delivery of product. This kind of knowledge is invaluable, something which even Amazon does not have. For a little over billion dollars, Alphabet, the holding company that owns tech giant Google, may finally get the algorithm to reach out to its next billion users. Through the Walmart route. 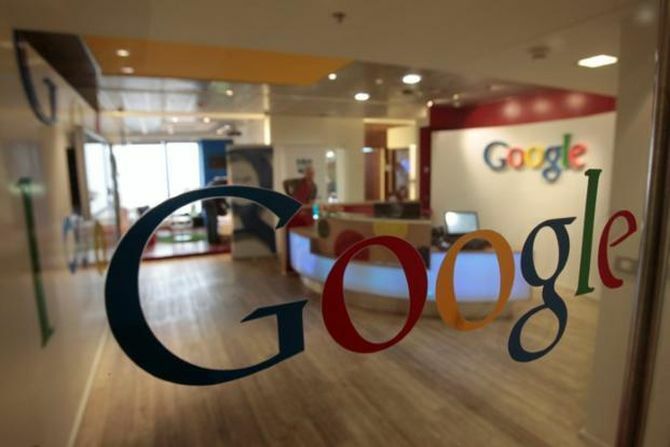 According to multiple sources and reports, Google is all set to shell out close to $1.5 billion in the $12-billion deal where Walmart is trying pick up a controlling stake in Flipkart. This deal would help Google gain “invaluable data’’ which would allow it to access users it has been wanting for its ambitious ‘Next Billion Users’ plan. Flipkart is not only the largest e-commerce player in the country, it is also the most trusted brand, according to market statistics and reports. So with this investment, Google would get a deep insight into customer buying pattern. It is something which it has not been able to crack even after being the top search engine in the country and launching a payments platform. “Google would get accurate user data on what all people buy. This will help them get knowledge on each and every customer and then they can push products accordingly,’’ an analyst with an international consultancy said. After the merger with Walmart, Google would be able to create more than accurate customer profile, said a senior analyst with an international consultancy. The company is anyway bringing more people in the hinterlands online and providing free wifi services in a host of public locations. “The entry into Flipkart would help Google co-relate the data from the first click to the final delivery of product. This kind of knowledge is invaluable, something which even Amazon does not have,” added the analyst. Google dabbled in online marketplace and even ran a major festive sale similar to ‘Black Friday’ sales, called the Great Online Shopping Festival (GOSF). It started in 2012 and lasted only till 2015, when Google drew the curtains on it. The company had sited festive sales run by players such as Amazon, Flipkart and Snapdeal as a reason to stop GOSF. “Today the top three players have their own sales. India has many flourishing and successful e-commerce companies and there are multiple deal days being hosted by various e-commerce players delivering great value to shoppers across India. "Users don’t have to wait for 12 months to get the best deals online. Small and medium businesses no longer have to wait for www.gosf.in to find customers from all across India,” the company said. Who will grab the hot seat post Walmart, Flipkart merger? But with this investment, Google would be able to understand the nuances of working in the Indian online marketplace ecosystem which might help with its own plans in the near future which could be with or without Flipkart. Amazon is the common adversary which binds them all. While Walmart has faced immense competition on the home front from Amazon, which has now made inroads into brick and mortar with Whole Foods and plans to buy retail major Target, Microsoft has taken the fight with the Jeff Bezos run company to the clouds. Both Microsoft and Amazon Web Services are elbowing each other to get new customers, ranging from small, medium to major conglomerates. Industry experts believe they all hope to combine forces to take on Amazon on multiple fronts.